Pre-Order Now! A door hanger to remember the worst no-call penalty in history! 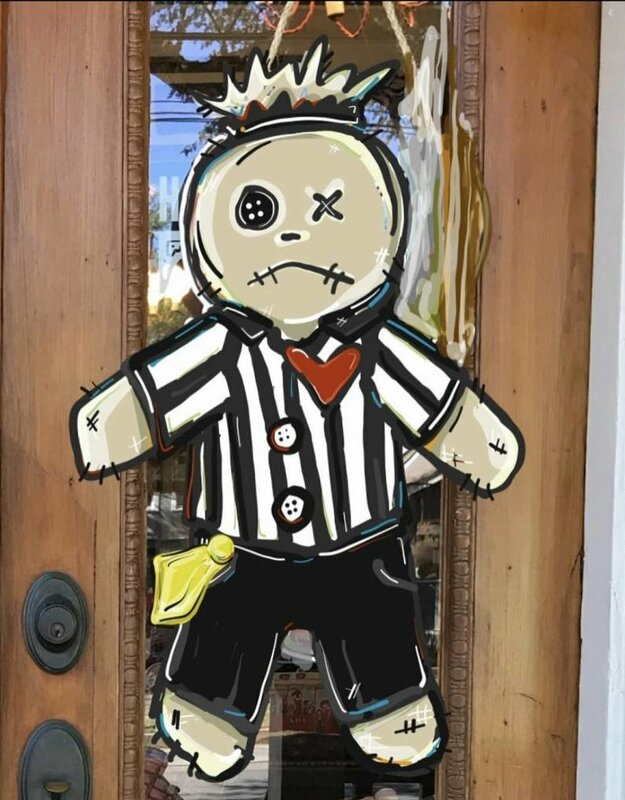 Show your love for our New Orleans Saints with the VooDoo Referee Door Hanger! Who Dat!! **Expected delivery Friday, February 1. 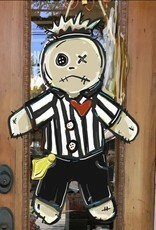 Referee VooDoo Door hanger measures 20" tall x 12.25" wide x 1/4" and comes with a neutral hanging ribbon. Designed with the yellow flag that was never thrown. * In-store pickup is available for free at checkout.